Pupils from schools participating in the Channels Kids Cup Competition. The Lagos preliminaries for season ten of the Channels International Kids Cup will commence Tomorrow, Monday, 7th May 2018. 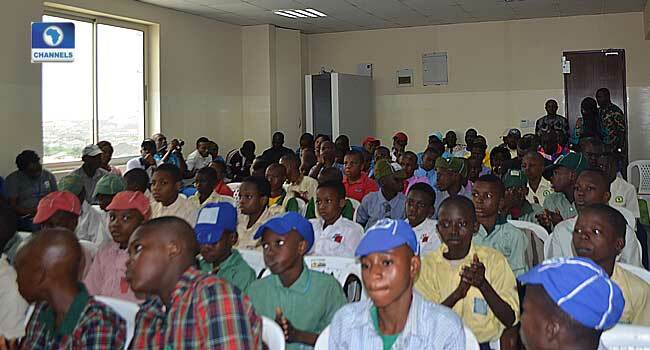 The thirty-two primary schools in Lagos state that passed the screening by the technical committee will compete for the two tickets that will take them to the international finals. Last year’s finalist, X-Planter Primary School from Ikorodu were drawn in group C and will play St. Jude’s Private School, Festac Town in their opening match at the Campos Square Mini Stadium. 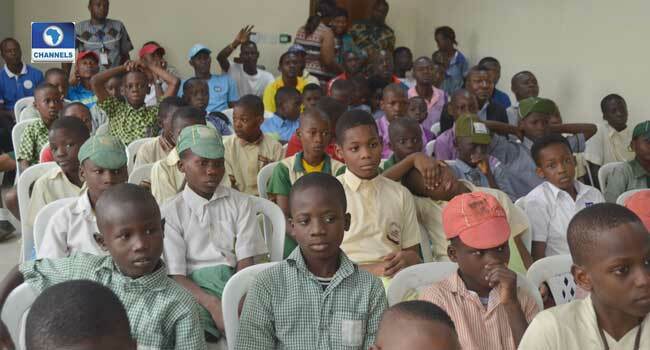 Green Haven Montessori School, Isheri North are optimistic of a good outing this year. They’ve been drawn in group A and will play their opening matching against Oke Ifako Primary School, Gbagada at the Isheri Mini Stadium. Please see below for the groups and the match venues.